This really is a lovely kit, lots of options, lovely custom parts, makes them feel very bespoke without much effort, and the fit is lovely too – testament to the quality of GW’s models. One criticism would be the size, and the scale creep we’ve seen. I still have a couple of older models from the BA range and they are noticeably smaller. not a new phenomenon, but as my collection only includes some very old and some very new BA models, it’s quite struck me. 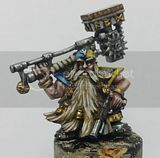 Sergeant, hand flamer and powersword – These guys basically get the old furious charge so against anything but specialist CC squads they should be able to give quite a mauling up close. and the last two to complete the unit. Quite happy with these builds, tho one or two look a tad awkward, its much easier to get natural poses with this set of bits. Look for initial paint next post! do you always stick the bolters on before painting or was it just for this particular instance? Plus if the model is complete it helps me see where the dark/light areas should be. I know it flies against the conventional wisdom, but it usually works for me.